I finally filled my first turkey tag of the 2017 spring turkey season here in Kentucky. It was a rainy day, so I opted to hunt from a box blind I built last year. 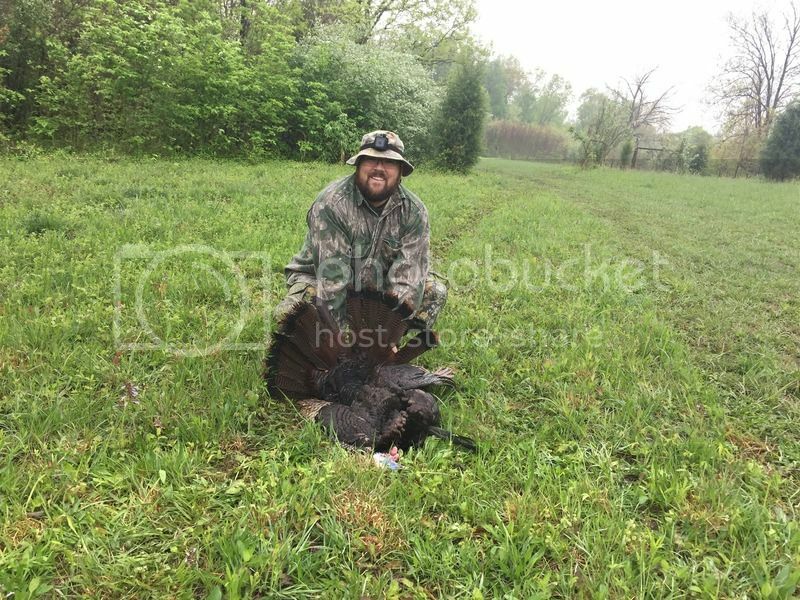 Two jakes showed up first to my calls, then a lone hen, followed by two mature gobblers. My bird had a 10 5/8 inch beard and 1 1/4 inch spurs. Pretty much anywhere in the Western and Central part of the state holds good numbers of birds. There are a lot of mountain birds too, but not the huge flocks you see in the Western end of the state usually.